We have an unexpected addition here that came in with some cories. 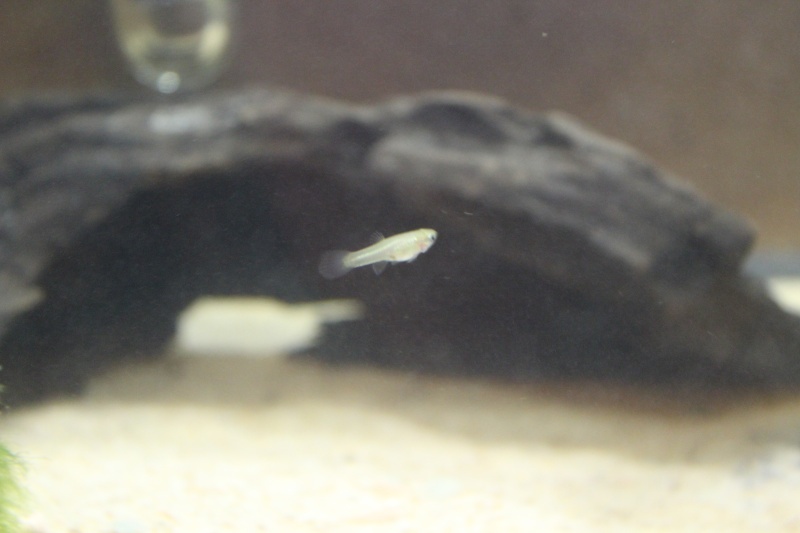 I sent an email to the person who owned these fish originally, and she said that it could be a baby guppy, but that there were several other types of fish breeding in her tank, so she could not be certain. 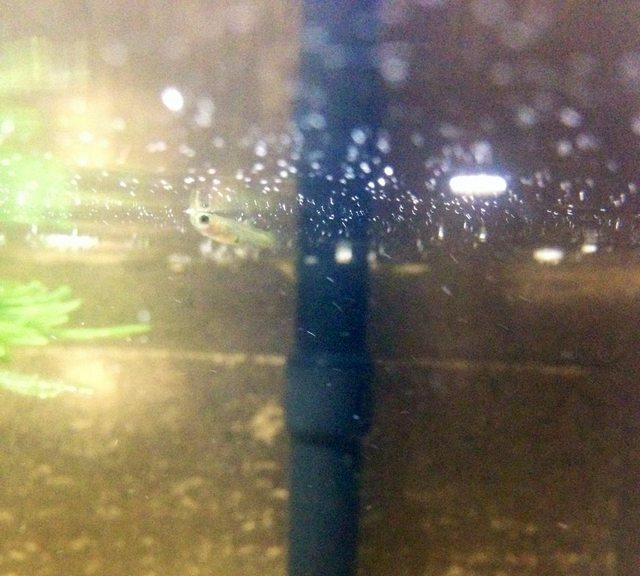 I took two pics with the iPhone, so maybe not clear enough to confirm if it is a baby guppy. Plus, this little guy is very skittish, so it is hard to get a good pic. If these pics are not clear enough, I will try to get better shots with my camera! 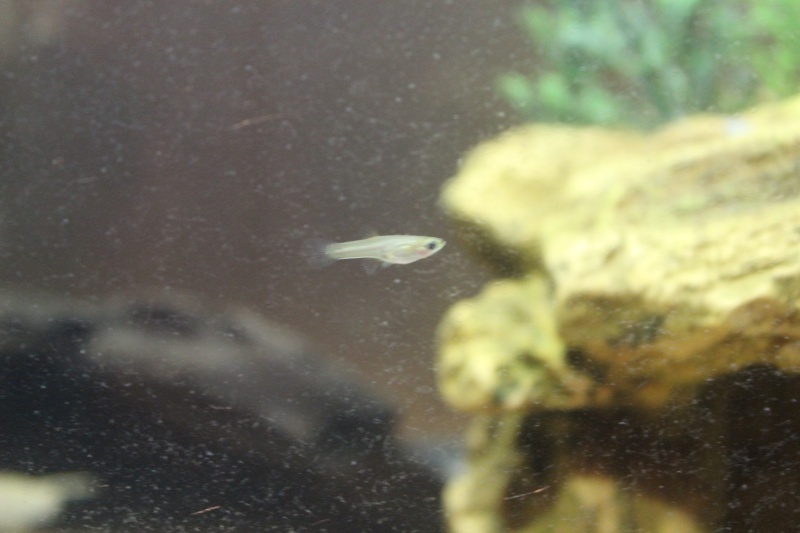 Re: Mystery Fish: Baby Guppy? It's obviously a fish, I can tell because it's under water and has fins. Sorry in a smart **** mood. Thank you Orion11, can't wait to see what he or she grows "up to be"! Guppy or endler?! And, um, oooohhh my, Steve...thanks for your input! Looks like a pretty baby! I got a few more pics - still not good and clear, but better than the previous ones! 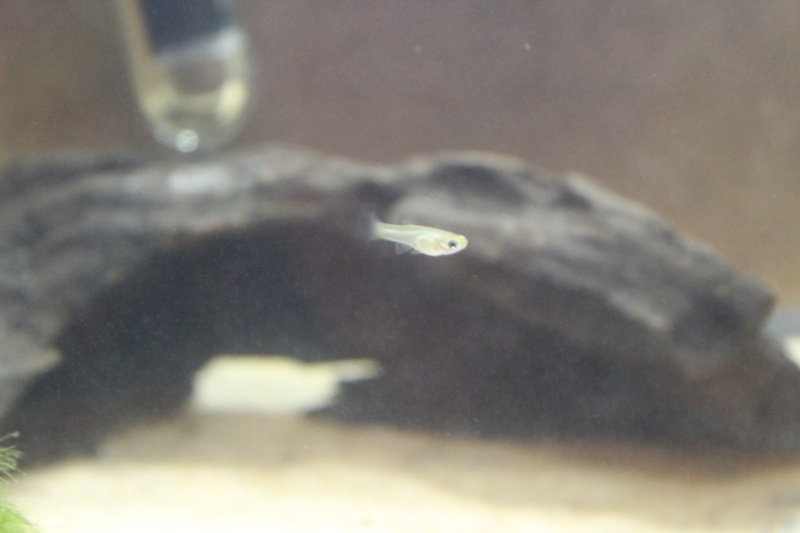 It does look like a female guppy! 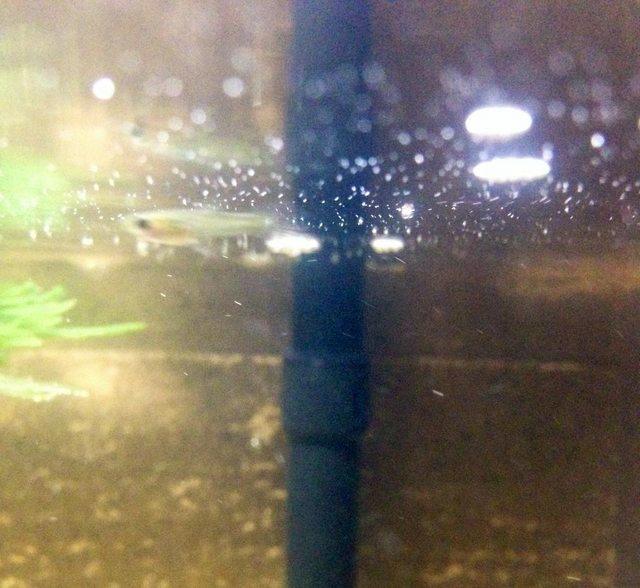 @Biulu wrote: It does look like a female guppy! Awesome - I am hoping this is the case! I'm thinking she will do okay with Callie, our lone panda cory, for now!